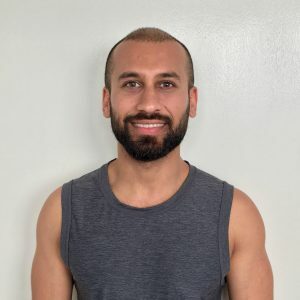 A motivated and mindful Yogi with a strong personal practice of Yoga, Mohit has a passion for leading anatomically focused practice in a safe and engaging class which accommodates beginners through to intermediate practitioners. Being able to read, write and speak Sanskrit also allows Mohit to weave an authentic Yogic philosophy into his classes. Beyond Fitness is based in Moonee Ponds, Melbourne, Victoria and is easily accessible from surrounding areas including: Essendon, Essendon Fields, Flemington, Footscray, Kensington, Maribynong, Melbourne, Niddrie, North Melbourne, Parkville, Pascoe vale, and West Melbourne.